Seib Insurance & Reinsurance Deputy CEO And COO Elias Chedid accepting the Insurance Innovation award from Muhammed Bin Ahmed Bin Towar Al Kuwari, Vice Chairman, Qatar Chamber of Commerce and Industry, at the Qatar Enterprise Agility Awards 2015. With such a forward-thinking approach to doing business, Seib has been making a concerted effort to participating in the growth of Qatar and the realization of its National Vision 2030. Seib proudly declares itself to be a Qatari national insurance company- its very name is a reference to the role of the seib in the pearl-diving heritage of the country, wherein the seib would hold on to the ropes supporting the divers as they scoured the depths of the sea for their wares. The seib was essentially thus the diver’s lifeline, and according to Chedid, that’s the same principle his company uses when dealing with its clients and their insurance requirements. Elias Chedid with his team at Seib Insurance & Reinsurance Company. Image credit: Seib. 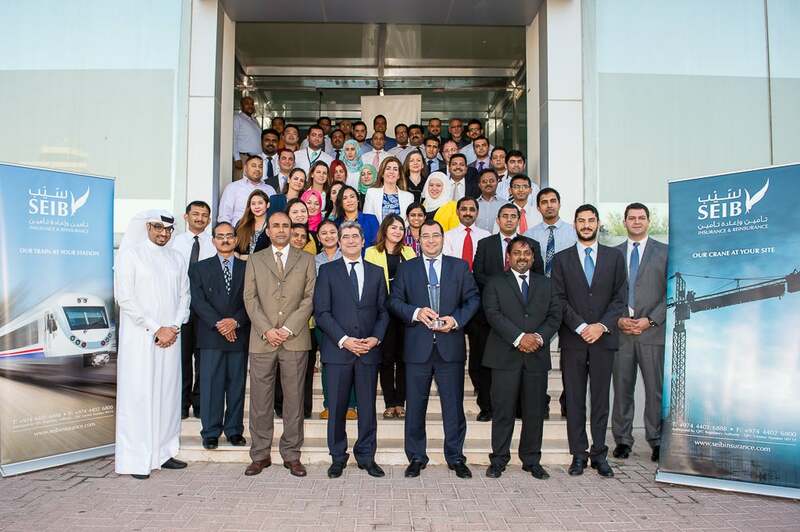 Seib’s efforts in improving its offerings and scaling up its business are particularly noteworthy when considering the current state of Qatar’s insurance market. According to an October 2015 report by global credit rating agency Moody’s, Qatar has the fastest growing insurance market in the GCC, with a compound annual growth rate of 20.7% between 2006 and 2014. Having said that, the country has a rather low insurance penetration rate at just 1% of its GDP- but even so, the report marked Qatar out to be the third largest insurance market in the GCC, with its premiums totaling approximately US$2.2 billion. This essentially means that there’s a lot of growth potential for this sector in Qatar, and companies like Seib are in a prime position to take advantage of this situation, and capitalize on it as well. 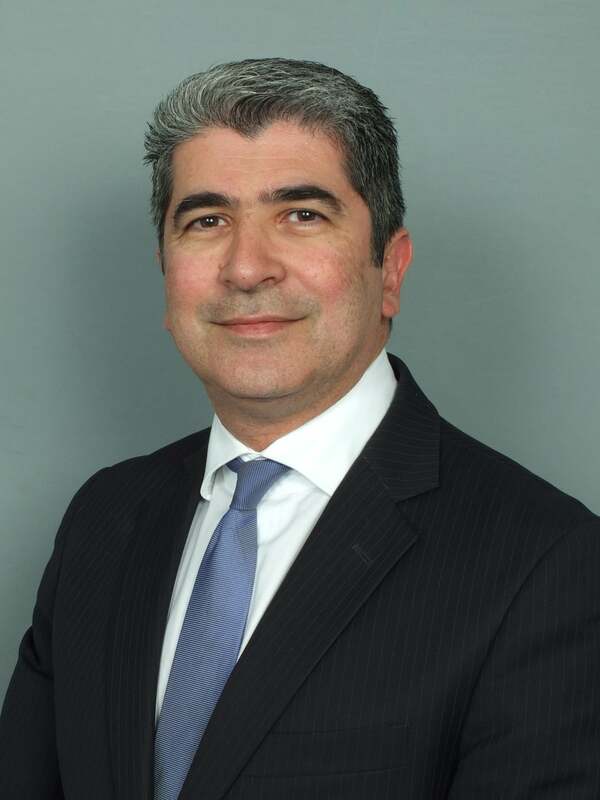 Elias Chedid, Deputy CEO and COO, Seib Insurance & Reinsurance Company. Image credit: Seib. Seib currently services clients from a variety of sectors, including construction, banking, transportation, healthcare, education, hospitality, sports and more. Chedid claims that the company has written major programs, “some of which are among the largest in the world.” Some of its major clients require global health insurance programs, which leads to Seib servicing them in remote parts of the globe, while other customers require large-scale directors and officers (D&O) and decennial liability programs, with the company underwriting such complex programs to protect both Qatari and multinational institutions. But this is not to say that Seib has overlooked the SME sector- on the contrary, Chedid says the company has several offerings catered to this particular market. The Seib team at the Qatar Enterprise Agility Awards 2015. Image credit: Entrepreneur Middle East. But given the cash crunch that most startups and SMEs in this region often face, can one make a feasible argument for why they should invest in a good insurance scheme? Chedid rises up to the challenge, and is emphatic in stressing why insurance is a must for small businesses. “You want to be profitable, then you have got to be credible and visible,” he says. “Do not eliminate that opportunity by petty savings on insurance premiums. The cost of risk reduction through insurance is far lower than the risk of financial loss without insurance. To entrepreneurs, I say, we understand the passion to thrive in what you do, because Seib has been there, has seen it and is still living it. Protect your jewel. Insure that you get the best chain to hold it. We understand the effort, time and sweat required to build an organization to make it stand out among the crowd and succeed. Our team at Seib has been assisting startups and SMEs to insure them and help them stay visible, credible and profitable."